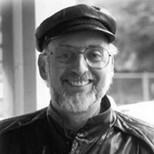 John Gottman, Ph.D., is recognized for his work on marital stability and divorce prediction, involving the study of emotions, physiology, and communication. He is Professor Emeritus of Psychology at the University of Washington, where he founded the Family Research Lab, also known as “The Love Lab.” He has earned several awards for his research on marriage and parenting, including four National Institute of Mental Health Research Scientist Awards. Dr. Gottman has authored or co-authored 119 published academic articles and 37 books, including the New York Times bestseller, The Seven Principles for Making Marriage Work. In it, he says there is more to a solid marriage than communicating and sharing every feeling and thought. The book is the definitive guide for anyone who wants their relationship to attain its highest potential. He and his wife, Dr. Julie Schwartz Gottman, founded the Gottman Institute, which helps couples directly and provides training to mental health professionals and health care providers. He is also the executive director of the nonprofit Relationship Research Institute. The Gottmans present couples workshops throughout the country. John Gottman has appeared on a number of TV programs, including The Oprah Winfrey Show, Good Morning America, and the Today Show. He has also been featured in articles from such publications as The New York Times, Ladies Home Journal, Redbook, and Reader’s Digest. • In the last decade or so, science has discovered a tremendous amount about the role emotions play in our lives. Researchers have found that even more than I.Q., your emotional awareness and abilities to handle feelings will determine your success and happiness in all walks of life, including family relationships. • I liken an affair to the shattering of a Waterford crystal vase. You can glue it back together, but it will never be the same again. • We have a group of very passionate, romantic couples. They sort of enjoy the bickering and the arguing…to them, it symbolizes real involvement and connection. According to many relationship books, the key to a solid marriage is communication. Phooey, says John Gottman. He says there is much more to a solid, emotionally intelligent marriage than sharing every feeling and thought, though most therapists ineffectively and expensively harp on these concepts. In his book, The Seven Principles for Making Marriage Work, Dr. Gottman discusses his view on how to make for a successful marriage. I recommend it as the best place to start. • Maintain awareness of your partner’s world. • Foster fondness and admiration. • Turn toward instead of away. • Accept your partner’s influence. • Cope with unresolvable conflicts. The Seven Principles for Making Marriage Work is a great book if you want to improve your marriage. Dr. Gottman also has an audio and video program for it.